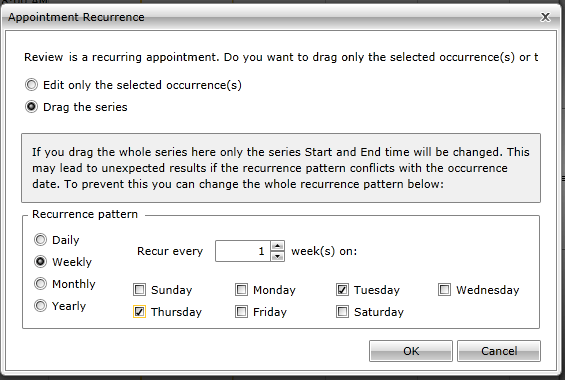 Using the drag-drop functionality of RadScheduleView, you can drag an occurrence of a recurrent appointment as well as the whole series. This help article will explain how RadScheduleView handles the case when a whole series is dragged. You could check here for more details about recurrent appointments. 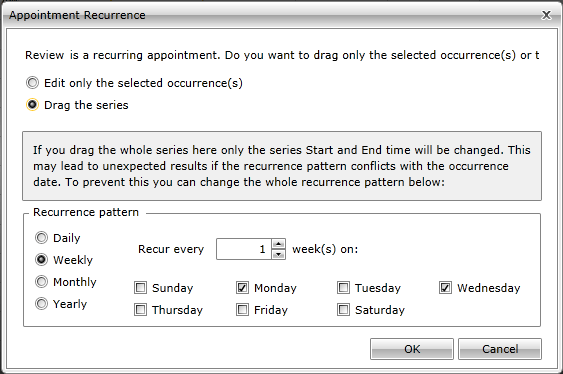 When the Recurrence pattern panel is expanded, the current recurrence days are selected, not the days where the series is dropped. Note that when dragging the whole series, only the series Start and End times will be updated by default. 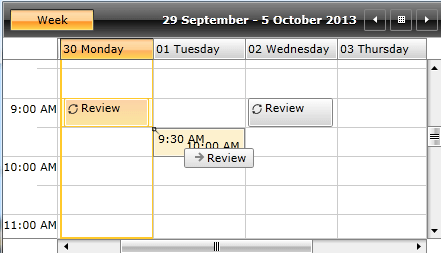 The date of the appointment is updated, however since it occurs only on Monday and Wednesday, its first occurrence is on Wednesday.